Young Syrians who have been left without a school, a job or any meaning in their lives by the country’s devastating civil war are finding that Islamic State of Iraq and Levant (ISIL) offers “a new meaning to their life in extremism,” a peace activist group’s survey found. “Extremism opens a door to a new life where they are wanted,” one respondent in the International Alert survey released on May 4 said. Young Syrians are more driven by “the need to earn a basic living, regain a sense of purpose and dignity and the belief in a moral duty to protect, avenge and defend,” the survey found. The survey draws on interviews with 311 Syrians, their families and members of their communities in Syria, Lebanon and Turkey. 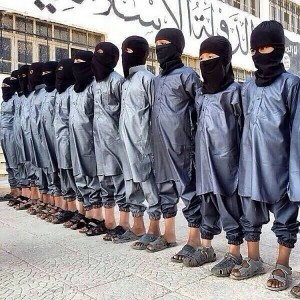 ISIL, along with Al Qaida affiliate Nusra Front, have exploited the education gap left by the Syrian war, which has resulted in more than two million children being out of school by “filling this gap by providing their own forms of education,” the report said. International Alert said that, to prevent recruitment by jihadist groups, host countries for the millions of Syrian refugees need to enroll children in school programs that incorporate psychiatric support and trauma treatment. “If not for this job I would be on the front line with a Kalashnikov,” one Syrian man who works as a peace activist in Lebanon said in the survey.